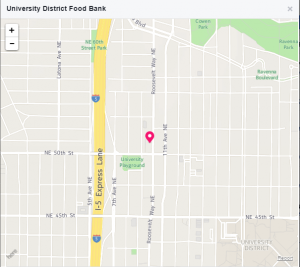 We are now located near the corner of NE 50th Street and Roosevelt Way NE, next to the University District branch of the Seattle Public Library and across the street from Scarecrow Video and Planned Parenthood. Please use this address as our mailing address too. 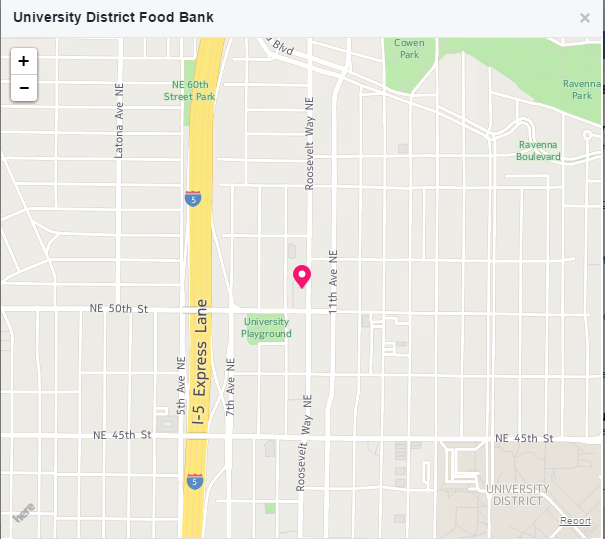 The University District Food Bank is located at 5017 Roosevelt Way NE. Not sure what bus runs in your neighborhood? Use Metro’s Seattle Route Locator.